I love, love, love house plants. Sadly, they do not love, love, love me back. It’s a one-sided love affair that usually ends up with someone dying. Not me, obviously. The house plant. Lady 1: That succulent is really fun! Me: Yeah, and I can’t kill it. 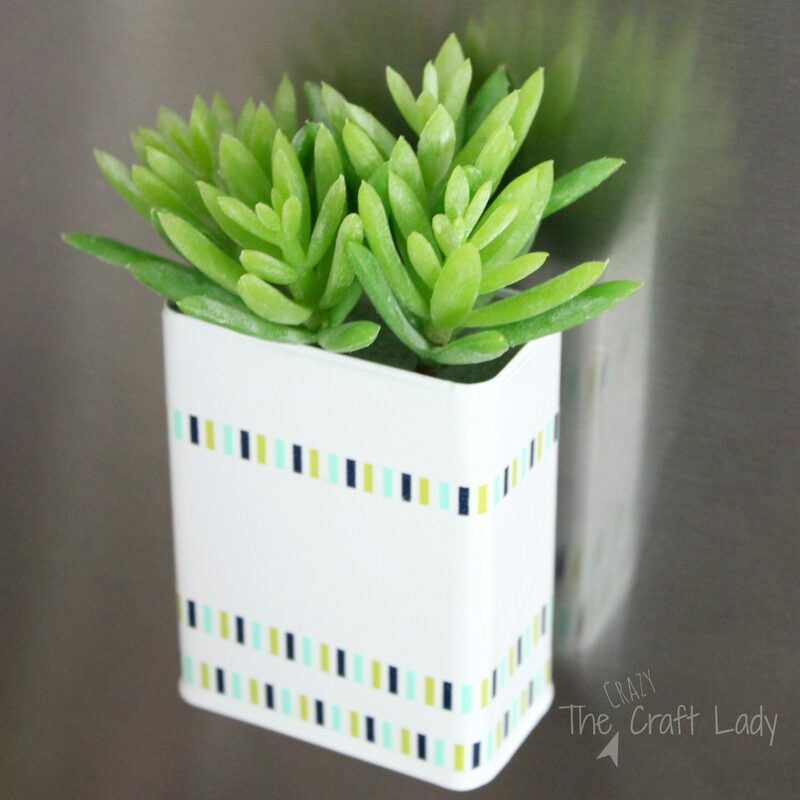 Lady 2: But aren’t succulents really hard to kill? Me: I guess not. I killed mine. 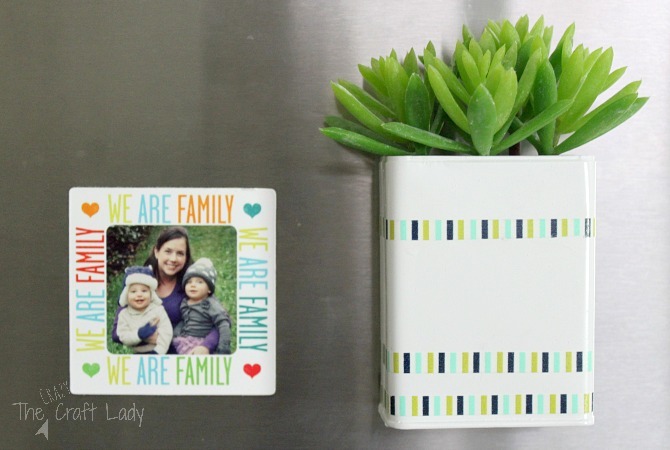 This project all started with a little inspiration from another blogger. 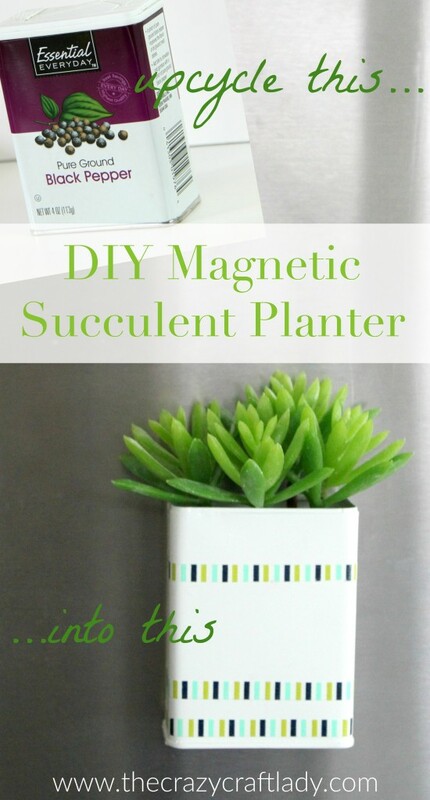 I saw this Magnetic Daffodil Planter on pinterest, and the idea of upcycling spice containers has been on my mind ever since. Do NOT do as I did, and attempt to use a butter knife to pry off the top of the pepper shaker. This was almost as bad as the time that I stabbed myself in the thumb with a razor blade while upcycling some glass Coca-Cola bottles. Considering there is an adhesive holding the plastic lid and the metal container together, heat is your best friend. 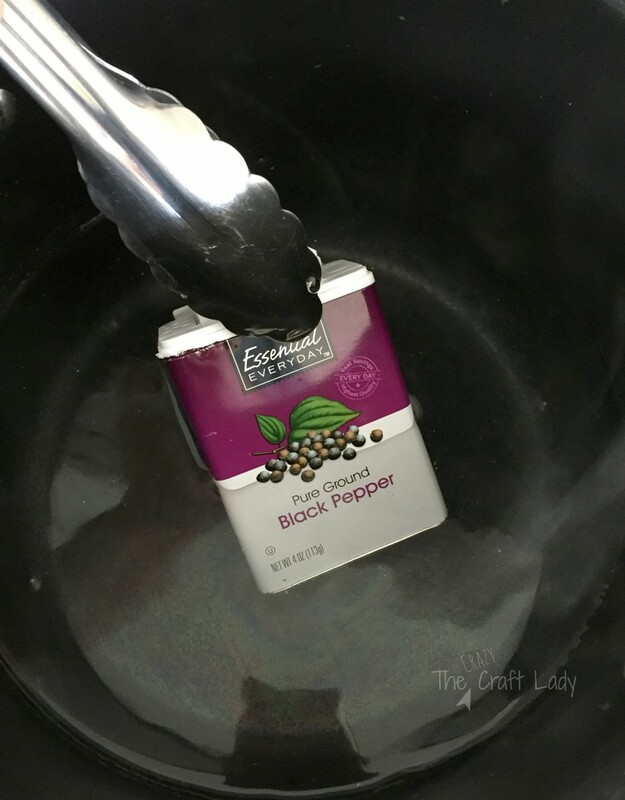 Bring a pot of water to a simmer and dunk the pepper container in the water. After a few minutes of exposure to the hot water, the lid will pop right off. 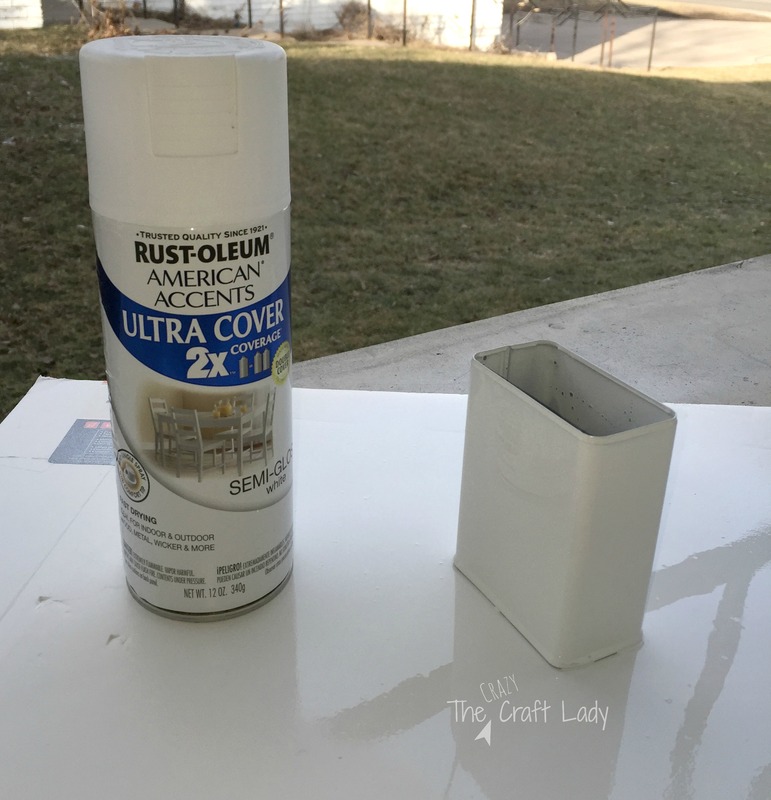 Allow the metal container to cool and dry thoroughly before applying a few thin coats of white spray paint. 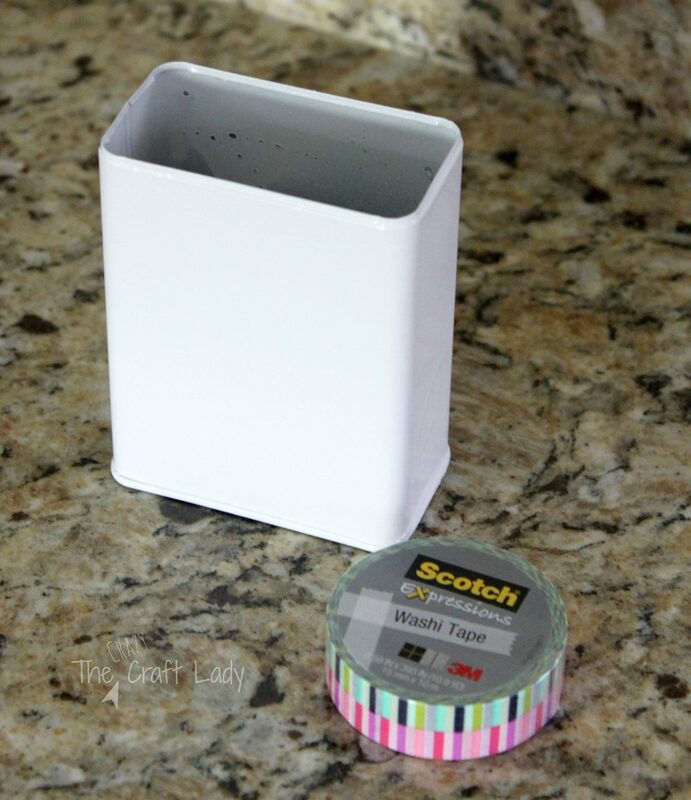 You may have noticed that the washi tape that I selected has two parts – green and pink. For this project, I only wanted the green part. 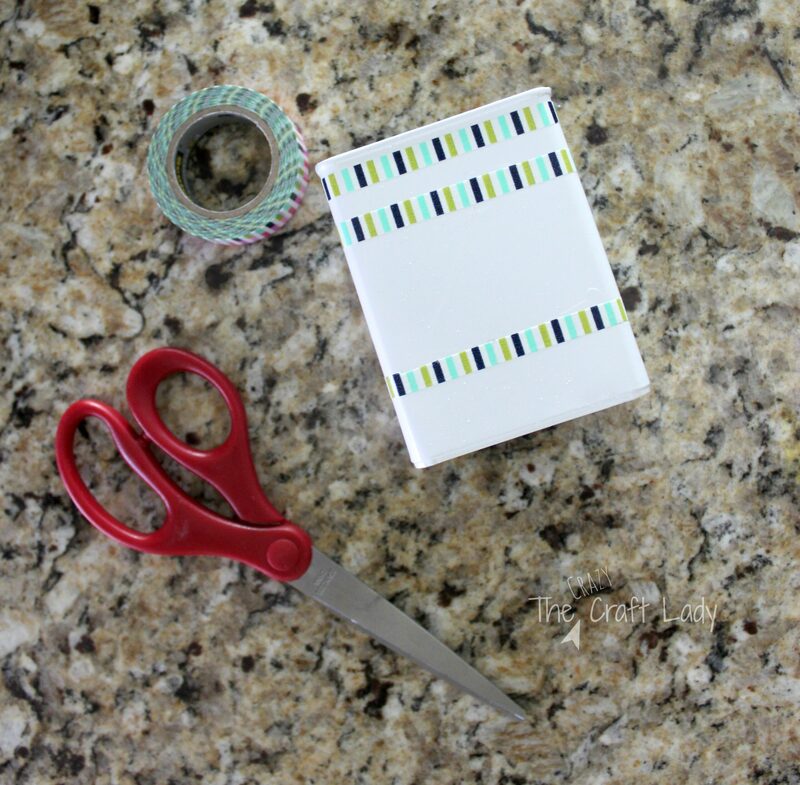 I just took a pair of scissors and cut the strips of washi tape down the center before applying them to the painted container. “But what happened to the pink washi tape,” you may ask. Don’t worry. 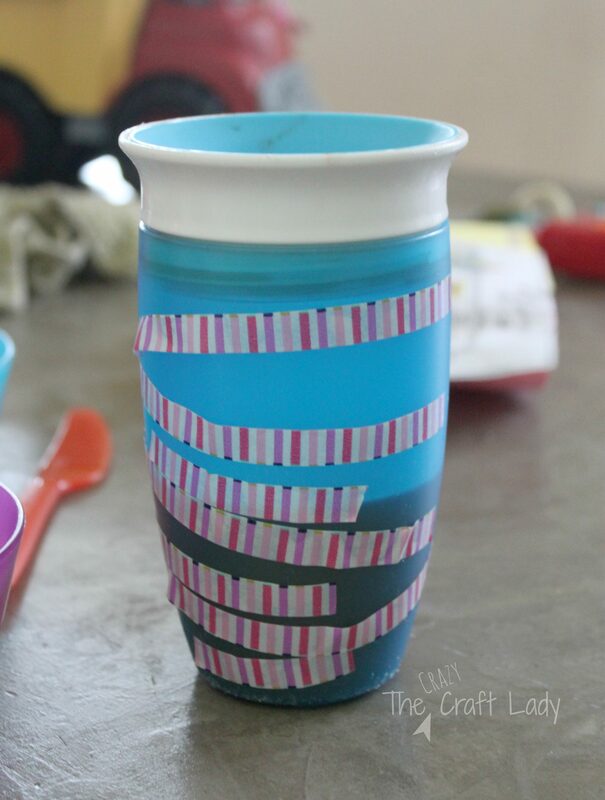 My 3-year-old son made sure no tape went to waste, and decorated his juice cup to match mommy’s craft project. Waste not. Want not. 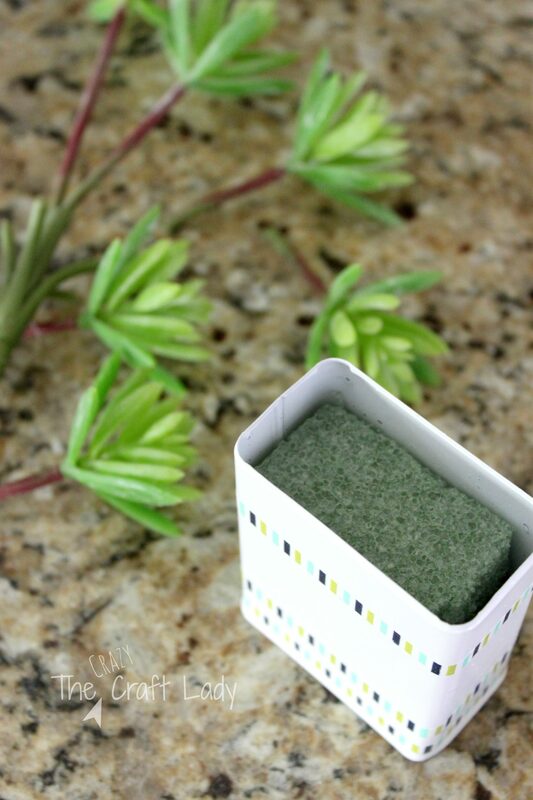 Cut a piece of green craft foam down to size – so that it fits snugly in the painted container. 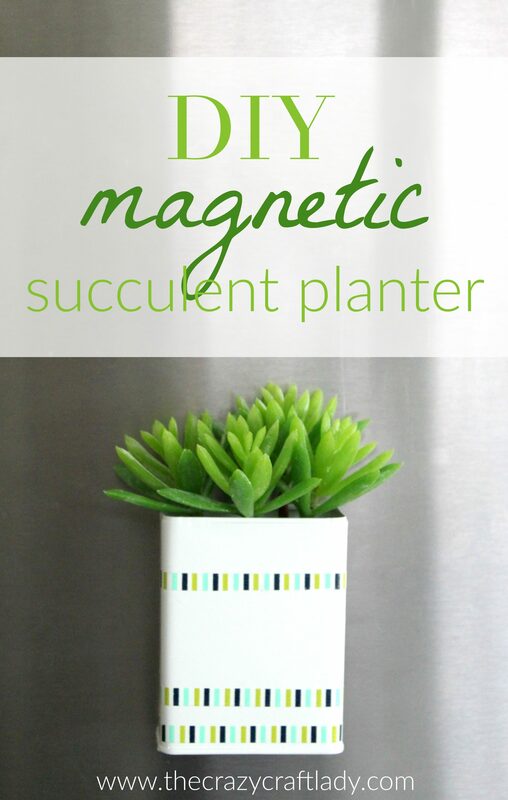 Then cut your faux succulent stem down to size. I used 4 small sprigs cut from the larger stem. 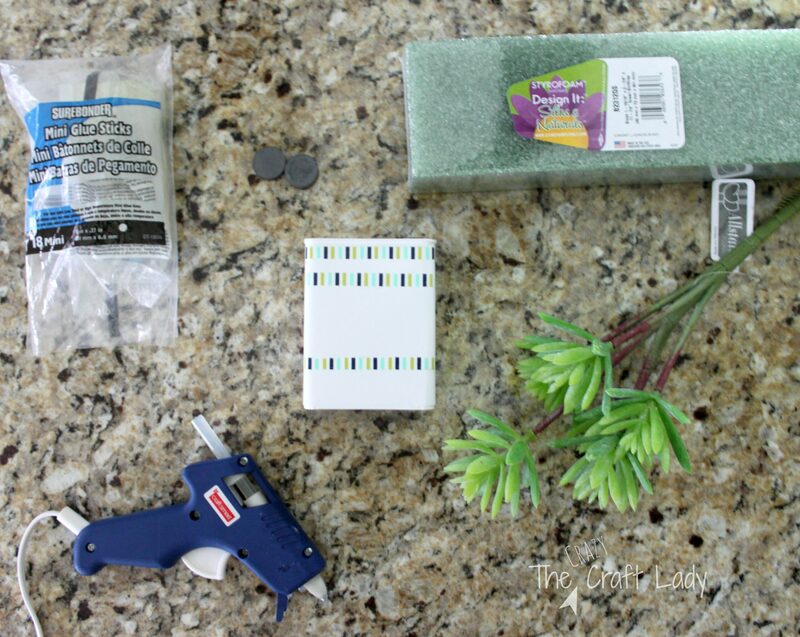 Stick these smaller sprigs into the craft foam, and arrange as desired. 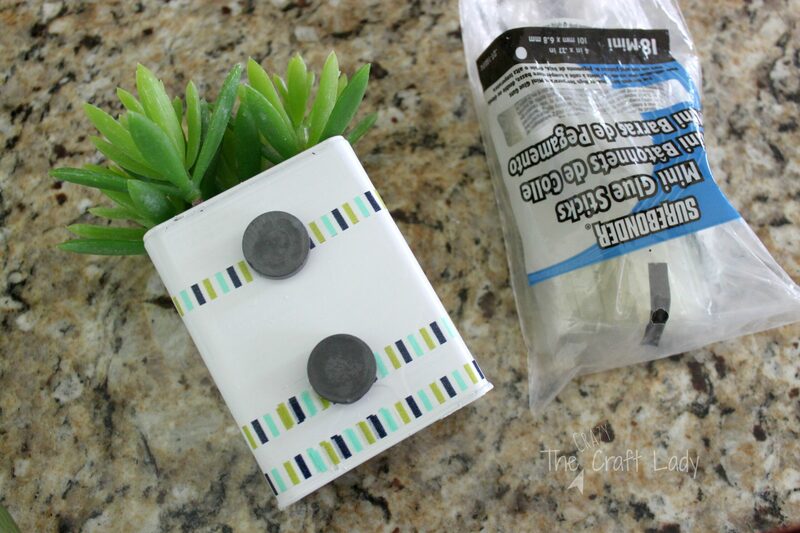 Using hot glue, add 2 magnets to the back of the container. Clicked through HomeTalk to tell you how much I love this project! Love this! So simple but super cute. Visiting from DIY Sunday Showcase party. Thanks for clicking through Victoria! All I can say is “me too”. I joke that house plants have chosen death over living with me. lol I absolutely love this idea. It’s so cute. I would love for you to share this at the Friday Favorites link party going on now. 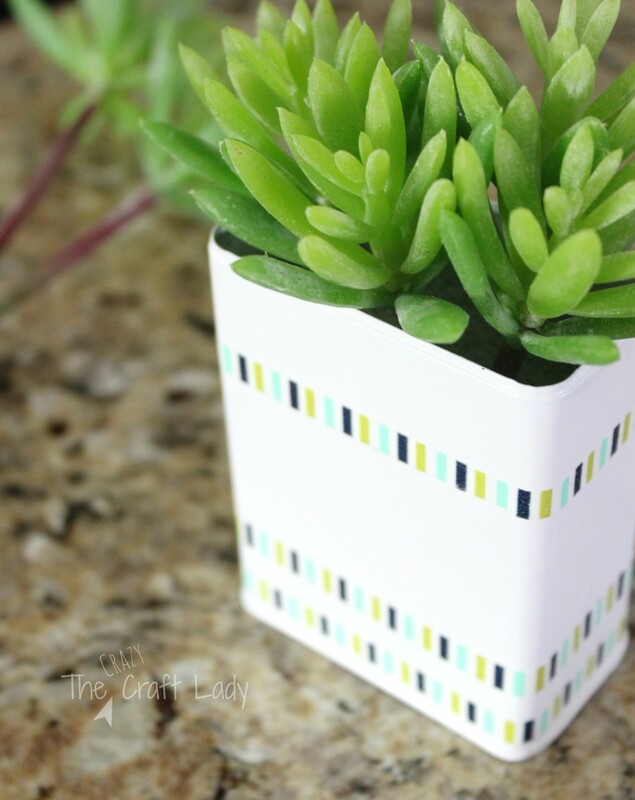 This is such a fun upcycling idea. Thanks for the tips about removing the plastic lid. I will be pinning this. I’m the same way with indoor plants. I read somewhere that snake plants were nearly indestructible. It looks like I might be in the process of proving that wrong. Time to go get some faux succulents! Ha! Sounds like I may have to look into snake plants! Hi Lorraine. I would check your local dollar store. I have seen some succulents there lately. Otherwise, try to catch a sale at Michaels or JoAnn. This is BRILLIANT!!!! What a great upcycle. Thanks for sharing at The DIY Collective! 🙂 Hope you are doing well, friend! This is such a cute idea! I love a good upcycled project, and this certainly is one! Pinning! Thanks so much for linking up last week. Thanks so much for the feature, Mila! !